Investigators in the lab of Shawn Xu at the Life Sciences Institute found that a neuron in C. elegans, a tiny worm with a simple nervous system used as a model for studying sensation, movement and other neurological function, regulates both the speed and direction in which the worm moves. 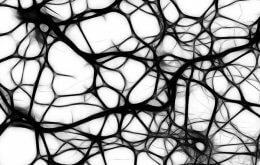 The individual neurons can route information through multiple downstream neural circuits, with each circuit controlling a specific behavioral output. The findings are scheduled for online publication in the journal Cell on Nov. 6. The research is also featured on the cover. “Understanding how the nervous system and genes lead to behavior is a fundamental question in neuroscience, and we wanted to figure out how C. elegans are able to perform a wide range of complex behaviors with their small nervous systems,” Xu said. The C. elegans nervous system contains 302 neurons. “Scientists think that even though humans have billions of neurons, some perform multiple functions. Seeing the mechanism in worms will help to understand the human brain,” Xu said. The model neuron studied, AIY, regulates at least two distinct motor outputs: locomotion speed and direction-switch. AIY interacts with two circuits, one that is inhibitory and controls changes in the direction of the worm’s movement, and a second that is excitatory and controls speed. Xu is a faculty member in the U-M Life Sciences Institute, where his laboratory is located and research conducted. He is also a professor of molecular and integrative physiology at the U-M Medical School. Other authors on the paper were Zhaoyu Li, Jie Liu and Maohua Zheng, also of the Life Sciences Institute and Department of Molecular and Integrative Physiology in the U-M Medical School.